An essential piece of equipment is the Defibrillator or AED, which is used applied externally to the body to effect a response. These are very safe pieces of equipment to use and normally you cannot make a mistake using one. "The automated external defibrillator (AED) has been described as the single most important development in the treatment of Sudden Cardiac Arrest (SCA). These devices are now widely available and increasingly used by people, often with little or no training, to re-start the heart of a victim of SCA. Under ideal circumstances, when used very soon after collapse (within two or three minutes), many can survive." It is important to choose the equipment that is suitable for the tasks being asked of it. Different defibrillators have different specifications and features, some of which might not be required, or others that, in practice, offer no tangible benefits for the untrained lay user. All makes of defibrillator will deliver a shock in an emergency if required. 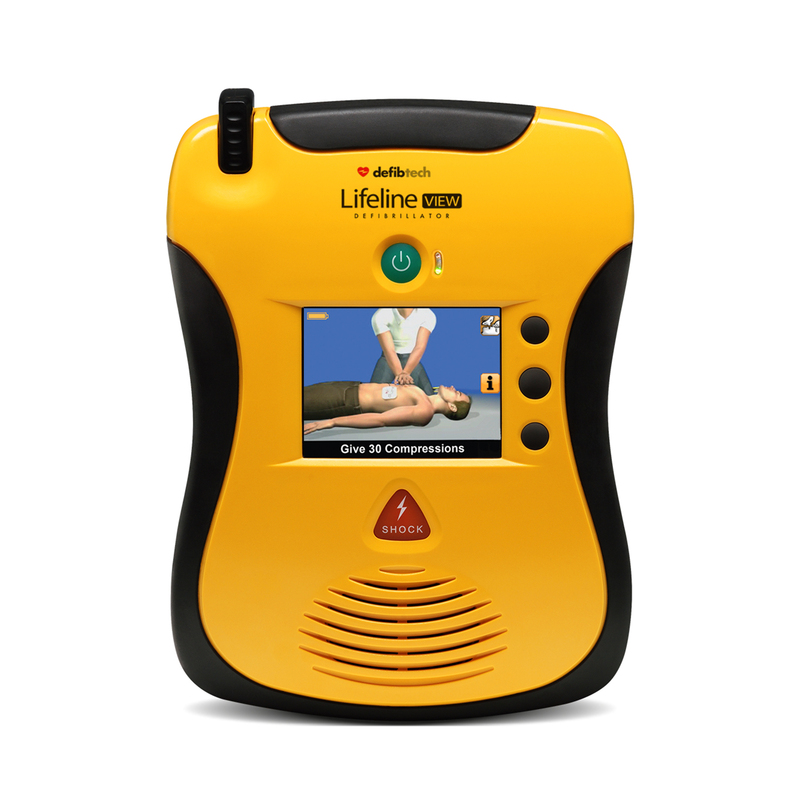 Generally, however, the correct make of defibrillator to choose is the one that keeps the rescue as simple as possible for untrained members of the public; e.g Gives clear audio and visual instructions; is easy to use and comes with long-term support; is cost-effective to buy and run; and do not have extra features that offer either negligible real benefit or otherwise might be misunderstood or misused in the stressful situation by untrained people. 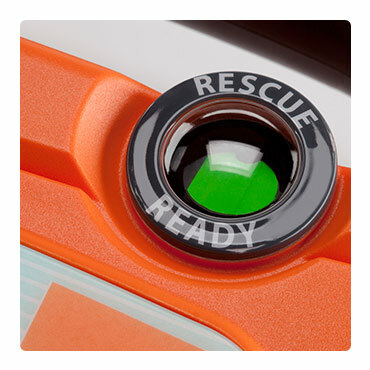 Ideally choose one specifically designed for use by community rescuers, which gives CPR protocols for bystander CPR. Cardiac arrest in children under 8 years old occurs infrequently, so for a village community, the chance of cardiac arrest in a child under 8 in a primary school is about once in every 60 years or so. In defibrillator terms, a 12-year-old is not a child and is treated as an adult, and therefore paediatric electrodes or switches are not normally required and may be disadvantageous in some circumstances. The Community Heartbeat Trust classifies defibrillators as to there suitability for community/untrained user situations and will advise objectively on the best solution. What is the device pedigree? Is it a well-established model with a proven and highly commended manufacturer history? The age of the technology; is the software and model still supported by the manufacturer? Older AEDs may not have the current operating software within current guidelines. Who uses it? Does the model require further input from the user than just the press of a button? Is it commonly used by non-trained users? Community Heartbeat assesses the suitability of defibrillators in terms of ease of use and ongoing costings. Where is it made? Does it have FDA approval i.e stringent testing by an established body? For instance, is it made in Asia? It is worth considering the age of a child in defibrillator terms is 1 to under 8 or under 25kg however many western children will weigh a lot more than their Asian counterparts. Is the manufacturer's representative UK based, or have a UK support office? 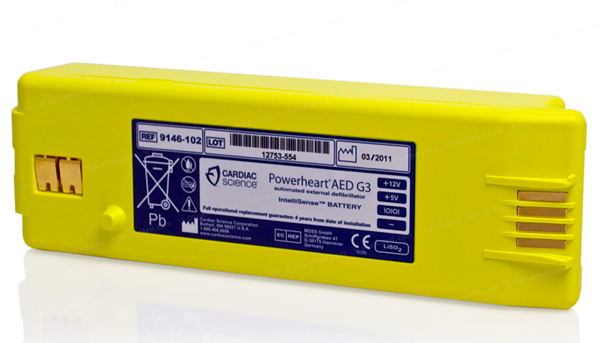 Most defibrillators will have disposable lithium batteries that last between 2-5 years depending on the model. Be aware that you should only use manufacturer approved and made components. It is possible to buy replica consumables for certain models in some cases, however, these can cause issues with the defibrillator and stop it from working correctly. We also do not advise that you use a unit that requires general consumer batteries to operate as if these were to fail then there could be the potential for liability. All defibrillators will deliver a shock in working order. It is worth considering in this instance though what input the machine may need from the person on scene. For community use, we generally advise on defibrillators that require the least input from the user and give clear and concise instructions. There may be some very cheap models of defibrillator out on the market but these may not be suitable for a community of untrained people. They may have extra functions that would be suitable for a CFR or trained personnel but may hinder an untrained user. Modern AEDs are either semi or fully automatic, and depending on your ambulance service region they may have a preference on what you have as a community, however, CHT are aware of this and will advise appropriately. Fully Automatic machines will administer a shock without a user's input, a semi-auto machine requires that the shock button is pressed when the defibrillator prompts. Always remember that you cannot hurt someone with a defibrillator as the unit will only shock a patient with a detectable problem in their heart rhythm. Most AEDs will be very light and small and undergo drop testing to military-grade specification. It is worth noting the IP rating on some models of defibrillator, as whilst some may be suitable for indoor use, others may not be sufficiently protected in heavy weather outdoors. Community Heartbeat is aware that the cost of installing a defibrillator can be high and are able to advise appropriately depending on budget. It is important to consider regarding pricing that some defibrillators will appear cheaper but actually accrue costs over a 10 year period that make them more expensive than other models. Also, it is worth considering the age of the unit, its technology and whether it is still supported by the manufacturer as these may be other reasons as to why a defibrillator appears cheap. Is there FULL sales support and post-installation help available? Is the supplier going to help with registering the unit with the Ambulance Service and be on hand to answer questions about the unit post installation? What is the warranty on ALL parts of the defibrillator? Some only have a 90-day warranty on batteries, or will not warrant the equipment working unless manufacturer supplied batteries and electrodes are used, or where "cable converters" are being used.